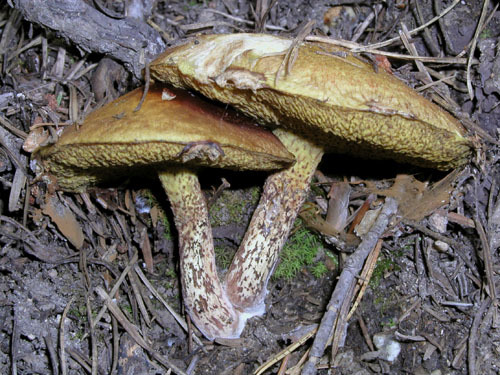 Fruitbody with partial veil, leaving more or less visible ring on the stipe. 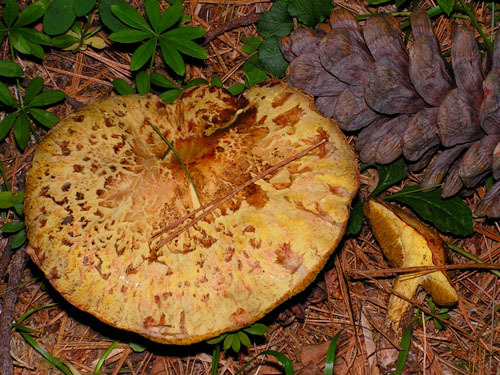 Cap up to 7 cm, at first hemispherical then expanding to convex, at first ivory, then yellowish to pale yellowish ochraceous, usually spotted violaceous brown or brownish, viscid when wet. 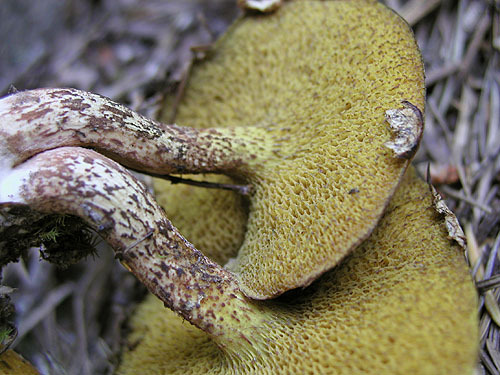 Stipe, cylindrical, more or less dirty white, with more or less distinct ring, covered with numerous whitish to brownish glandular dots, basal mycelium pale pinkish. 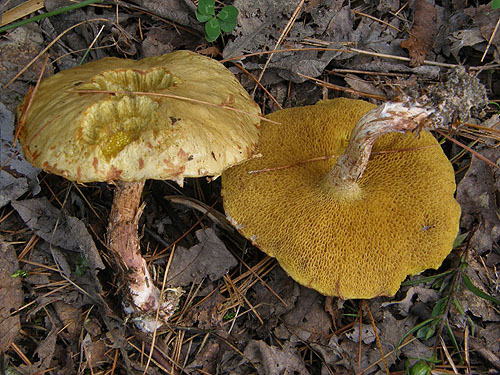 Flesh pale yellow to whitish. Tubes pale yellow to olivaceous yellow. 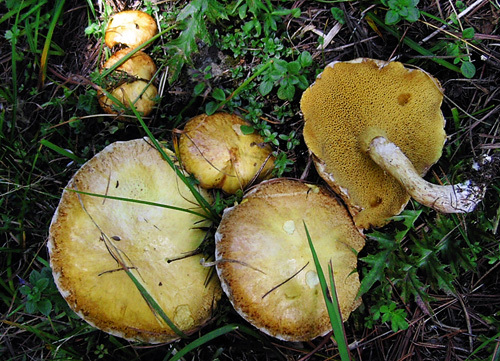 Pores medium sized, angular, pale yellow to olivaceous yellow. Smell not distinctive. Taste acid. Spores 7–12 × 3.5–5 μm. Habitat. Coniferous forests, sometimes artificial plantations, mycorrhizal with five-needled pines (Pinus cembra, P. peuce, P. strobus). Distribution. 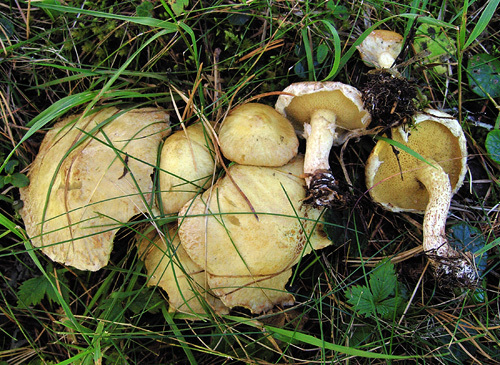 In Europe rare, restricted to the range of its mycorrhizal hosts.